Paperback. 312pp. 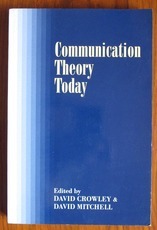 An overview of theoretical work in media and communication studies. It shows how the key questions in communication theory and research intersect with central themes in social theory and critical cultural studies.